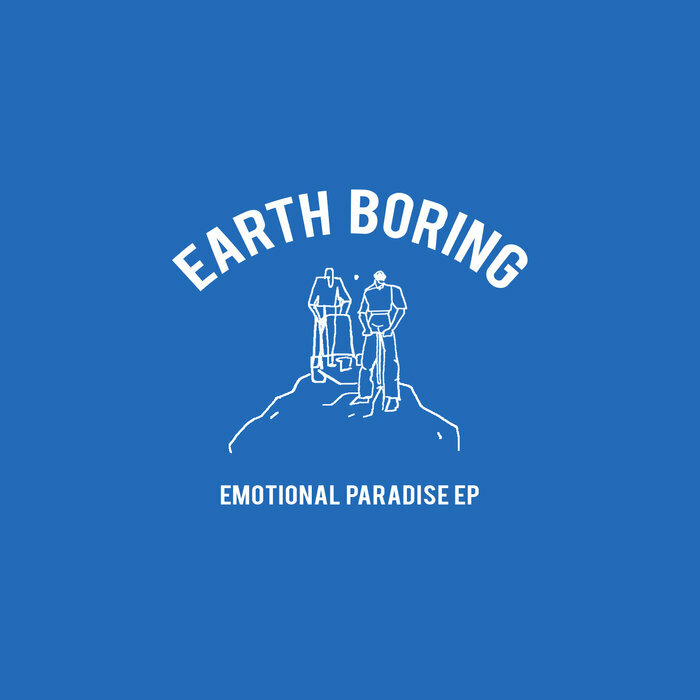 Hamilton duo Earth Boring (Una Di Gallo and Connor Jessome) begin their debut EP by leaving a message for Earth Boring. No, not for themselves – the underground construction company. Their message has an Abbott and Costello feel to it as the pair giggle, “who is this?? THIS is Earth Boring!” before formally welcoming us to their EP. Besides this construction company reference, I can’t help but think about the polysemic word boring. The downtempo lo-fi synth-pop songs of Emotional Paradise are marked with worry and discontentment so perhaps another band name reference could be that Di Gallo and Jessome simply find earth to be boring and wish to float off and away. On opener “Buyer’s Market,” the end has come. “A stampede of running dogs came bounding from my eyes,” we learn, sung to us in a delicate whisper, barely audible over the siren-like synths. In the following track “Two-Door Saturn (1,200,000,000 km),” a body is discovered and yet the tv is still on like nothing has happened and we are left with the bitter reminder of how fragile life is. “Warm Front” rolls in like the slow rotating tires of your sibling’s bike that’s too big for you but you borrowed it anyway because the clanking beads in the tire spokes of your bike seemed childish all of a sudden. The primarily synth line is stuck in a loop but another synth and the guitar plucks glisten in the background, grinning at whatever shenanigans happen. EP closer “Dollar Drink Days” is an ode to thirsty summer days. This dense, all instrumental track is layered with so many synth sounds that it sounds like the glossy heatwaves that rise up from the burning sidewalk. As “Dollar Drink Days” come to a close, Gene of Earth Boring (the corporation) returns the band’s message that we hear at the top of the EP. “Are you high?” asks Gene when Connor of Earth Boring (the band) explain that he is Earth Boring. Frustrated, Gene eventually hangs up and the band bursts out laughing and you can’t help but join in. Maybe earth isn’t so bad after all. Stay trenchless (for over 70 years)!